The military prepares service members well for deployment by providing them with all of the resources and information needed to put all of their affairs in order. However, a service member may not know how to handle custody and visitation issues upon their first deployment after divorce or first deployment after the birth of a child if they were not married. It is important for both parents of a child to be well educated regarding the specific family codes which address deployment if one or both parents are in the military. Regardless of whether the deploying service member has primary physical custody, joint physical custody, or visitation pursuant to their timeshare plan, the parties will need to temporarily change their custody/visitation order or agreement. Obviously, the deploying parent will be unable to maintain physical visitation with the child. The parties have the option of reaching a mutual temporary agreement to change their parenting plan or seeking court intervention. If the service member has primary physical and sole legal custody of the child he or she will have the right to decide who should care for the child in his or her absence. The non-deploying parent may not have much input regarding who will care for the child unless his or her visitation time will be interrupted. Depending on his or her assignment and military orders it is possible for the deployed parent to maintain frequent and continuous contact with the child. 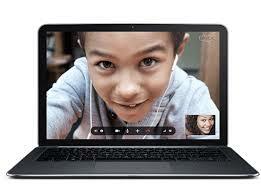 Frequently deployed parents schedule video chat sessions with their children while overseas. Both Skype and iPhone programs offer methods of communication without the need for service plans on certain phones. Deployed parents may also be able to e-mail their children from time to time. 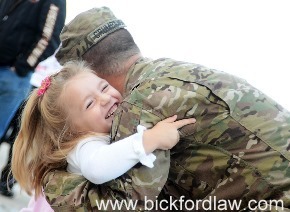 This type of contact between parent and child for the duration of the parent’s physical absence makes the reunification process much smoother upon the deployed parent’s return. Before deployment is it important to discuss these communication methods with the other parent and make sure each party has the equipment and information necessary to facilitate electronic contact. As we have previously blogged, the family code prohibits punishment (in the form of reduced parenting time) imposed upon a parent returning from deployment. The child sharing plan followed by the parties while one parent is deployed is only temporary. The timeshare agreement or orders in place prior to deployment should be reinstated upon the deployed parent’s return. Although the family code is clear on this issue, judges can struggle with returning the parties to the prior parenting plan if the child is doing well in his or her new routine. Judges are guided by the golden “best interest of the child” rule and can be torn between uprooting a child and not prejudicing a service member’s parental rights.